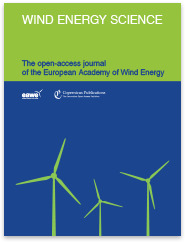 Copernicus Publications and the European Academy of Wind Energy (EAWE) have launched Wind Energy Science, an international open-access journal that focuses on studies with an interdisciplinary perspective on fundamental or pioneering research in wind energy. In order to provide fast access to new scientific knowledge for academia, industry, and societies all over the world, the EAWE wants to ensure rapid communication of high-quality research in wind energy with this new journal. "The academy has identified the long-term research challenges expected to have significant impact on wind energy and the acceleration of its development. These challenges are the basis for the scope of the journal," says Jakob Mann, editor-in-chief of Wind Energy Science, former president of EAWE, and professor at DTU Wind Energy, Denmark. Wind Energy Science applies Interactive Public Peer ReviewTM, a two-stage reviewing process used by Copernicus Publications since 2001. This process fosters open scientific discussion and enhances the effectiveness and transparency of scientific quality assurance. "Renewable energy is a thriving and very important scientific field," says Xenia van Edig, Business Development Manager at Copernicus Publications. "We are glad to now provide our services in this area, too, and to have such a strong partner as the EAWE that brings together almost all the universities that play a role in wind energy research in Europe." The new journal was launched at the annual conference of the European Wind Energy Association in Paris this week. 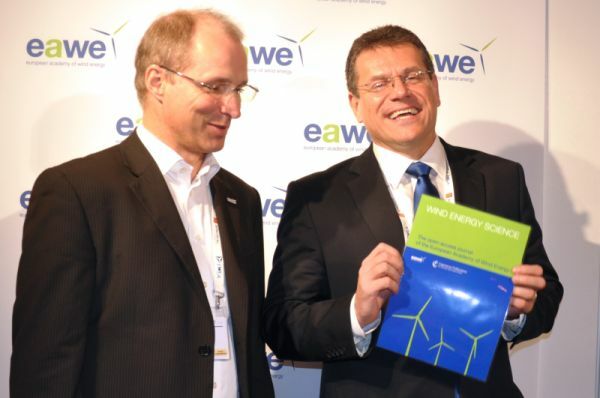 There, it was also introduced to the Vice President of the European Commission for Energy Union, Maroš Šefčovič, who was delighted to learn that Wind Energy Science will provide free access to the latest research. "The European Commission views rapid dissemination of research as an important factor for a successful and fast transition from fossil fuels to green energy in Europe and the rest of the world," says Vice President Maroš Šefčovič. The new journal is now open for submissions. During the launching period, the article processing charges will be waived by the EAWE for the first 30 to 40 papers. with the cover of Wind Energy Science at EWEA 2015 conference in Paris. More information on the EAWE. Further details on Interactive Public Peer ReviewTM. See the EAWS press release.